Get Involved. Grow in Faith. The Kansas District offers a variety of opportunities that support and encourage young Lutherans in their faith, including the recurring events listed here. Details and announcements about these events will be added as they become available. 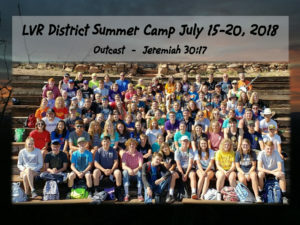 Every summer, the Kansas District sponsors Lutheran Valley Retreat (LVR) Summer Camp, a weeklong camp in Colorado for Lutheran youth. LVR encourages youth to stretch themselves by bonding with new friends and encouraging one another to step out of their comfort zone by participating in physical challenges. The 2019 camp will be held June 16-21, a month earlier than usual due to the National Youth Gathering in July; details will be available in early 2019. For a video overview, check out our LVR page. 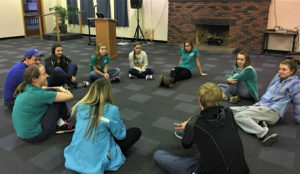 Lutheran Youth Representatives (LYR) offers Lutherans in grades 9 through 12 a chance to build connections, grow in faith, and develop leadership skills. Selected representatives participate in training, attend District events such as the Kansas District Youth Gathering (fall) and Teen Fellowship Retreat (spring), visit congregations, and apply what they’ve learned at their home churches. You can find out more about the representatives and what they do in the March 2018 issue of the Kansas insert of The Lutheran Witness (p. 3). For more information, contact our LYR Coordinators: DCE Charity Smith, dce@stlukesmanhattan.org or Jesse Smith, smithjesse@icloud.com. Higher Things, a Recognized Service Organization (RSO) of the LCMS, exists “to assist parents, pastors, and congregations in cultivating a distinctly Lutheran identity among their youth and young adults.” Higher Things holds youth conferences each summer at locations around the country. The theme of the 2019 conferences is “Concordia,” emphasizing the unity of our confession of Jesus as our Lord and Savior. Conferences will be held in Seward, NE (June 24-27), St. Paul, MN (June 26-29), River Forest, IL (July 2-5), Mequon, WI (July 16-19), and Irvine, CA (July 30-Aug. 2). The 2018 Kansas District Youth Gathering (KDYG) was held in Hutchinson on November 16-18, with guest speakers DCE Hailey Jo Miller and Rev. Travis Hartjen and Gathering band Remedy Drive. Details for the next Gathering, open to grades 9-12, will be posted as they become available (typically the summer before the event). The Kansas District hosts Junior High Youth Rallies every fall, with music, mixers, and Bible study for grades 5-9. The 2018 rallies (Timber Lakes Camp in WIlliamsburg and Shepherd’s Staff in Rexford) were held October 12 and 13. The event focused on the doctrines of sinner/saint, forgiveness, and grace, using the parable of the prodigal son in the context of the movie Despicable Me 3. Information for the 2019 rallies will be available this summer. Too often we read of how the children entrusted to the care of adults have been let down and harmed by those who were meant to protect them. Such a thing grieves us all and in hindsight, we wish things were done to protect those children. The Kansas District Youth Ministry Team is committed to being proactive in keeping the children with whom we come in contact as safe as we possibly can. To that end, the Kansas District Board of Directors has reviewed and updated our Youth Protection Policies. These policies, approved on April 25, 2014, are available below. The policies took effect on January 1, 2015 and apply to all District-sponsored youth events. We ask for your cooperation in maintaining the appropriate background checks and documentation of all of the people in your ministry who are involved or come in contact with the children in your sphere of ministry. We strongly encourage each of you not only to cooperate with the policies but also to consider applying these same policies in your congregations in order to protect your adult volunteers who work with minors. Because of the need for integrity, please understand that we’re following these policies as a best practice. We want to make sure that details are tended to properly so that none of our young people are excluded from our events. If you have questions or need clarification, please feel free to contact Educational Services at 785-357-4441, Ext. 200.  Click or tap the logo above to go to the LCMS Youth Ministry page, where you’ll find great resources for youth and youth leaders. For a quick overview, check out this information sheet.